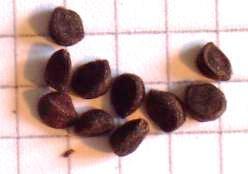 Synonyms: Ipomoea ortegae, Ipomoea heterophylla House 1908, Pharbitis pubescens Choisy 1845, Convolvulus pubescens Willd 1809 and Batatas pubescens . in San Louis Potosi, Mexico. 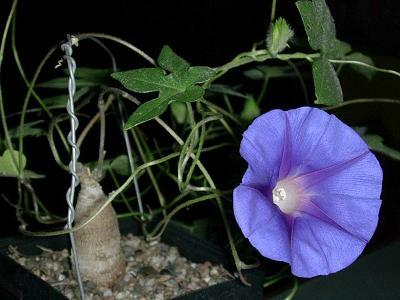 This member of the Convolvulaceae family was described by Jean Baptiste Antoine Pierre de Monnet de Lamarck in 1791. It's found from Mexico to Paraguay. Give it a well- drained soil, some water and sun, and it will give you fine blue flowers with white throat. The bulb will grow to ten centimetres in diameter, the vines to several meters.